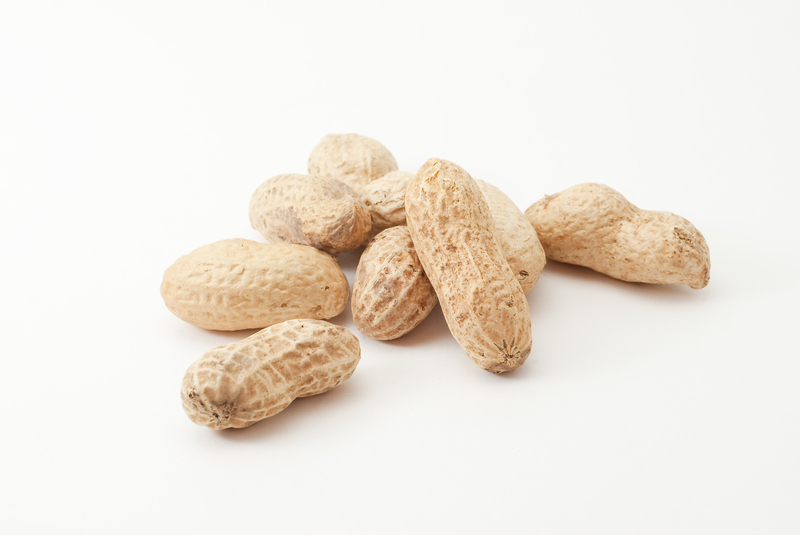 You are here: Home » Peanut allergies: is vitamin D the missing link? Peanut allergies: is vitamin D the missing link? Have you watched little ones as they are slathered with sunscreen? Parents are indeed taking heed of safe sun practices when it comes to their youngsters. But simply shunning the sun may be taking its toll. There is a second part to this health strategy that’s often overlooked: getting vitamin D. The sunshine vitamin is not produced when either the sun’s rays are not strong enough or when sunscreen is used. When I discuss the importance of vitamin D with my clients, I always ask about the youngsters in their lives – children, grandchildren etc. and whether they are being given vitamin D supplements. And all too frequently, it’s something that isn’t happening. Or if it is, it may not be done in a consistent manner. Part of the reason is that parents may not be told to do so or in some cases, the issue of just how important vitamin D is in promoting good health and preventing disease in children is not communicated. Considering the increasing body of evidence about this nutrient, it’s definitely time for parents to ensure their kids are meeting their quota of vitamin D.
In the battle against auto-immune diseases, experts have pinpointed vitamin D shortages for the dramatic increase in type 1 diabetes – what used to be called juvenile-onset diabetes. Multiple sclerosis, another all too common disease, is one that appears to have strong ties with vitamin D. And low vitamin D during childhood and adolescence may boost the odds of developing an auto-immune disorder even years later. Another area being investigated is that of allergies. Is it a coincidence that the skyrocketing rates of peanut allergies happened around the same time that people initiated safe sun practices? It’s an area that I have been following for a few years and it seems that more evidence is pointing towards a low vitamin D- food allergy connection. Firstly there are a number of studies which show that allergies, especially those related to food, are greater the further away from the equator you live. In other words, those people would have less exposure to sunlight. Other research has looked directly at levels of vitamin D in the blood and the risk of allergies. An investigation of more than 3,000 children conducted by researchers at Albert Einstein College of Medicine of Yeshiva University linked low vitamin D levels with a greater likelihood that kids will develop allergies. Another study of more than 5000 one-year-olds, from Australia, showed that those with low vitamin D were three times more likely to have food allergies. Other research is pointing to vitamin D during pregnancy and the risk for allergies (along with a host of other better pregnancy outcomes). Australian researchers are investigating the vitamin D levels in newborns and the risk for peanut allergies specifically. And it appears that the high vitamin D levels are associated with a lesser likelihood of developing peanut allergies. As far as amounts of vitamin D to give children, the recommended daily quotas depend on their age. For newborns until one year of age, the amount is 400 IU with the upper limit ranging from 1000 IU (up to six months of age) to 1500 IU. For those aged one year through adulthood, the daily recommendation is 600 IU. The upper limit, though, for children varies with 2500 IU for those from one to three and 3,000 IU for four to eight year olds. Above that, it’s the same as for adults, 4000 IU. If that sounds like a lot, keep in mind that a 20 to 30 minute session with bare arms and legs during summer would produce about 10,000 IU on average. Those with darker skin would need longer to produce that amount. There’s one more thing to keep in mind: do not use the % DV (Daily Value) on food labels as a guide as the 100 % DV translates into a mere 200 IU and that’s not enough for any age. If you have kids, has anyone suggested their taking vitamin D? Do you have kids with food allergies and were they given vitamin D when they were younger? Please share your experiences in the comment section below. I never gave my son vitamin D but then he has no allergies (save an intolerance to penicillin). That said, his dad is African and he had never heard of food allergies until moving to Canada in his thirties. He’s still stunned by the allergy epidemic around us. But is going light on sunscreen a good idea given the increase in skin cancers? One of our friends lost his brother to this cancer two years ago, it was scary and sad for all concerned…. Thanks for your comment, Lynne! Yes, cancer is a very scary disease indeed. So no I don’t think that going light on sunscreen is a good idea. Some promote a short time of sun exposure without sunscreen- 15 minutes or so. But taking vitamin D supplements is away to both protect against cancer by allowing for the effects of sunscreen. What’s interesting is that many of the health problems that Africans have in North America may be related to low vitamin D levels as they need more sun exposure to make vitamin D. As well, living in Canada really shortens the season for making vitamin D.
Which is it? Trying to help my child with this and becoming increasingly frustrated with navigating information that is clearly wrong. But which is wrong and which is correct? I have to say that I have seen many, many studies pointing to LOW vitamin D and the risk of allergies. I have never seen one – before this- pointing to high levels as being associated with an increased risk. When scientists conduct research, there is always the chance that the findings may be a fluke due to a variety of reasons. That’s why scientists always rely upon a number of studies before coming to a consensus. Simply put, I would ignore this finding unless I had seen many more pointing in this direction. And considering all the research pointing to the opposite, I don’t think this will happen. Rosie, I just stumbled upon this. I think you are right on here. First of all, my five year son has had blood and skin tests that indicate he has a high potential for anaphylactic shock, including the most recent peanut panel test he took where he scored high in every test. The worst one being Ara h 2(f432) with a result of 77.1 H and a reference range of <0.10 kU/L. For this last doctor visit I insisted he get tested for a vitamin D deficiency and guess what? He was a 28, in the slightly low range (out of the range which was 30-100). I myself, after talking with an expert, decided to take more vitamin D than what is in my current multivitamin. I wish I had tested before doing this because I feel a lot better and think I had a deficiency. So, I suspect during my pregnancy I was deficient. Although, my son has never experienced anaphylactic shock, we are worried about it and carry the epipens. He has all the classic allergy issues that range from asthma flair ups that occasionally land us in the hospital when we cannot get them under control with the medicine provided by a pediatric pulmonologist to ongoing eczema breakouts that we are constantly treating using guidance from pediatric dermatologists. His tests also show other food allergies, that tend to grow as we test him every year. This year we got to add wheat (high) to the list in addition to corn (high). Egg, walnut, sesame seeds and others have been going on for years. This is tough, but we always hold out hope that it will get figured out. Thanks for your post! Is there any research that you know about playing outdoors with no sunscreen can help a child outgrow their peanut allergy. My daughter is 3 and for the past year we have been playing outside once or twice a day everyday in hopes of outgrowing her peanut allergy. Hi Maureen, I wish that I could offer you solid advice that would ensure positive results! Unfortunately, I cannot. There is a lot of research currently underway looking at treatments that may help those with peanut allergies but there are no answers or protocols as of yet. But it is looking promising! I would, though, suggest that you do use sunscreen on your daughter and give her a vitamin D supplement. You might want to check with her physician about the optimal dose. There is also research looking at the microbiome – the bacteria in the gut and its impact on immune system function. It appears that in young children, beneficial bacteria may offer protection against allergies and autoimmune diseases. Whether this may help to outgrow allergies is still a question. Best of luck.